It was Thanksgiving Day, 1962. The Detroit Lions handed Green Bay its only loss during the Packers’ championship season. But the Lions didn’t just beat Vince Lombardi’s teamthey sacked All-Pro quarterback Bart Starr a league-record eleven times. All-Pro defensive lineman Roger Brown recorded six of those sacks, and he describes this most memorable game in Game of My Life Detroit Lions. Since their founding as the Portsmouth Spartans in 1929, the Detroit Lions have carried the hearts and souls of some of the NFL’s most loyal fans. Now supporters of this storied franchise will go into the locker room and onto the turf with over twenty Lions legends in Game of My Life Detroit Lions. Sportswriter Paula Pasche opens the doors to players’ private remembrances of how it was and how they reacted to the spotlight. Readers will hear tales from Hall of Famers, Pro Bowlers, and fan favorites such as Charlie Sanders, Mel Farr, Shaun Robinson, Doug English, and so many more. Within these pages, Detroit gridiron greats offer glimpses of the National Football League in the 1950s, the 1960s, and right up through the present day. 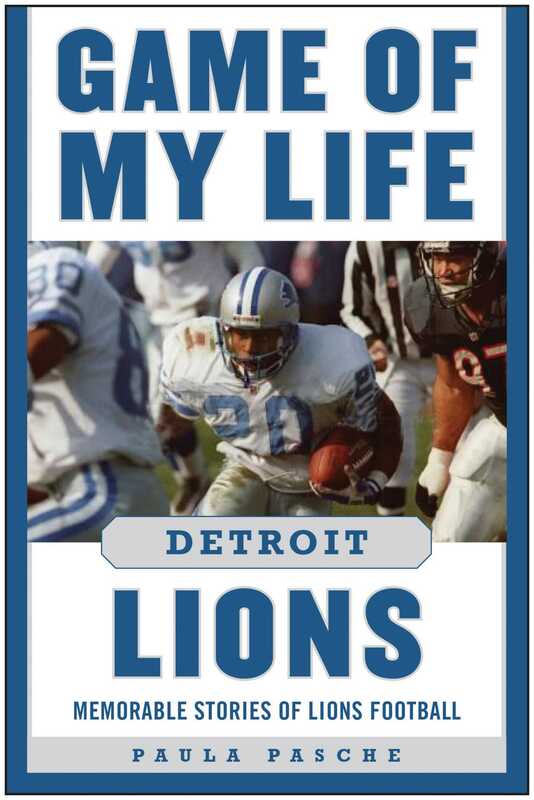 More than fifty years of Lions’ experience is represented in this collection of tales told by the men who lived through some of the most memorable moments in franchise history.